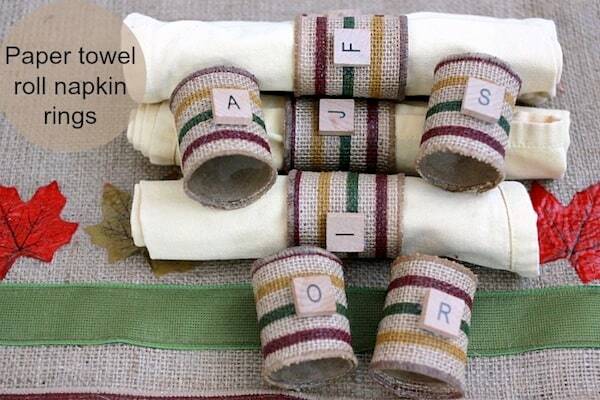 Use recycled paper towel rolls to make these burlap DIY napkin rings. 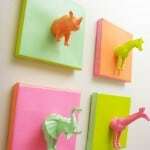 You'd never guess they were made for pennies! 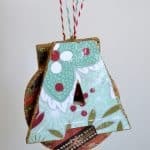 Perfect for the holidays. 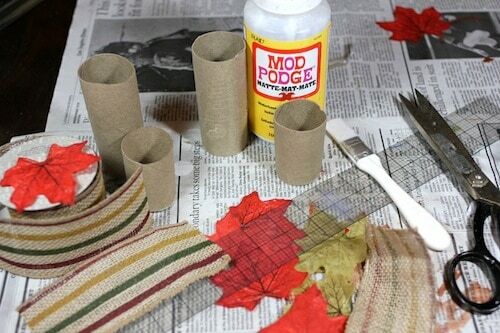 Do you ever save your paper towel rolls thinking you may be able to use them someday? Well, I do . 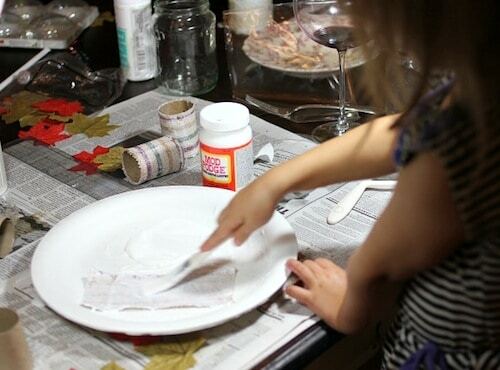 . . with kids I'm always planning some sort of craft I may or may get to. 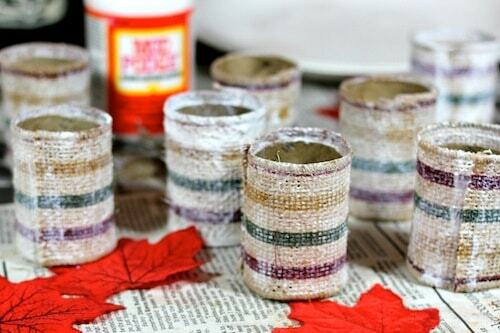 So if you're a hoarder saver like me, why not make some paper towel roll napkin rings for Thanksgiving? 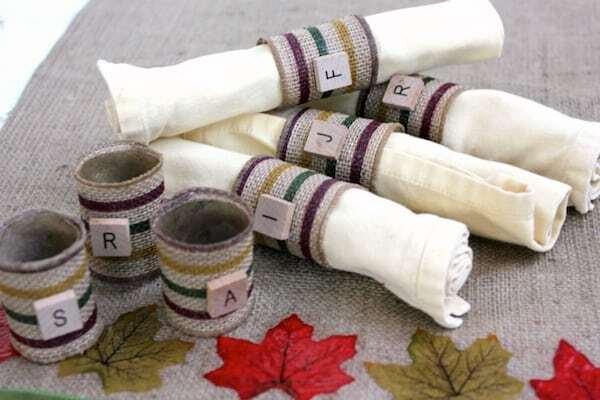 These DIY napkin rings are made by wrapping a paper towel roll with burlap ribbon and topping it off with a Scrabble tile with each guests' initial. 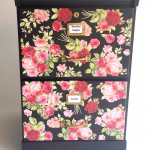 You'll be recycling as well as making something pretty and customized for each of your guests. It's easy enough that your kids can help you too. My little helper had a lot of fun getting her hands dirty! 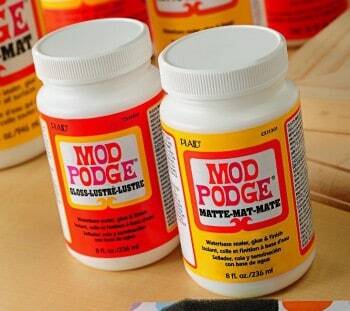 Cut your holder to be about 2 3/8 inches wide. 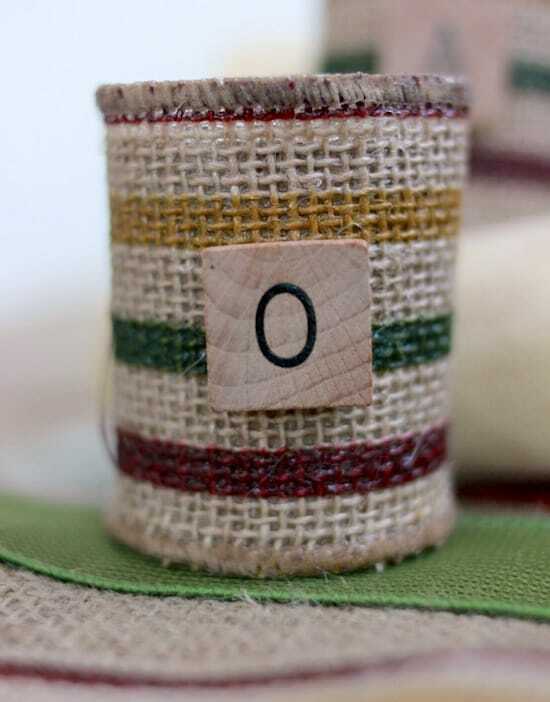 Take about 6 inches of your 2 1/2 inch burlap ribbon and spread lots of Mod Podge all over it thickly.If you apply it thickly it will help to harden the napkin rings when they dry. 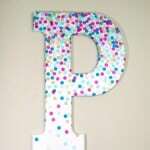 Let the Mod Podge dry for a few hours, then use your glue gun to apply a Scrabble tile with your dinner guests' initial. Done! 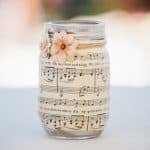 I’d love for you to stop by and visit me on Pinterest, Facebook, Twitter or my blog Sew Country Chick where I will be crafting away!